Days after entertaining us at the Grammys, Rihanna touched down in Africa. The Bajan pop star is one of the hardest working females in the entertainment industry, per her rep, who told Urban Islandz that she never rest. RiRi performed at the Grammy’s on Sunday night with DJ Khaled and Bryson Tiller in what was perhaps the most entertaining performance of the night. On to more serious business, Rihanna is currently in Senegal for the Global Partnership for Education’s conference. Over the past few years, the “Wild Thoughts” singer has been working with the Global Partnership for Education through her Clara Lionel Foundation to fund education for girls in Africa, the Caribbean, and America. On Thursday, she flew to the African continent where she is pushing world leaders to pledge $3.1 billion to fund education for children. She tweeted at both the French President Emmanuel Macron and British Prime Minister Theresa May, asking them to pledge to support the fund. 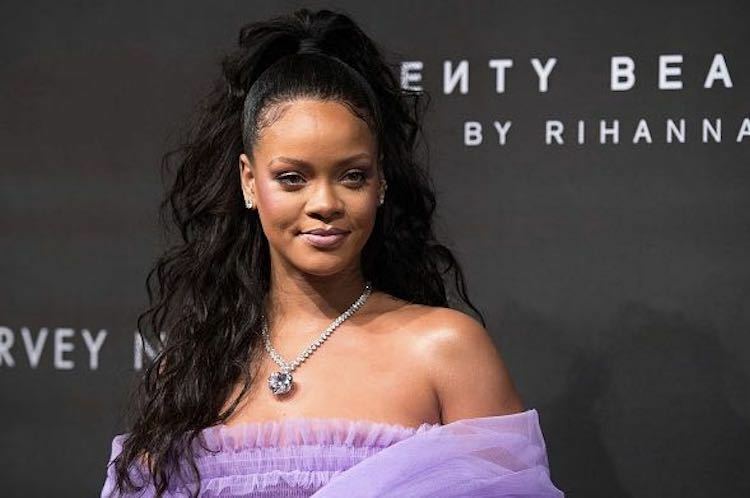 “Rihanna has, for the last two years, consistently demonstrated her commitment to getting children into school,” Global Citizen’s CEO Hugh Evans told PageSix. Rihanna didn’t arrive in Africa without some controversies. Some religious groups in Senegal are speaking out against the pop star saying she is unwelcome in their homeland because she is a member of the Illuminati. ?? bonjour @EmmanuelMacron, will France commit to #FundEducation?